Distraction Osteogenesis used for the process of gradually increasing the length of the bone over a period of time. Any abnormality on the jawbone structure can be corrected at Recon Face India, as it is a simple procedure and extremely safe in their trained hands. Issues like fused joints of the lower jaw, jaws that don't function well, deficient lower jaw at birth causing breathing problems in infants or upper jaw that is not grown properly due to previous cleft-lip surgery, have been successfully treated at Recon Face India. Regardless of the facial skeletal element undergoing distraction, the treatment can be divided broadly into the following phases: presurgical phase, operative phase, lag phase, distraction phase, consolidation phase and finally, retention phase. With increasing clinical experience, the long-term outcome and the specific role of distraction osteogenesis are better defined today. Clearly, distraction can generate bones with the capacity for remodeling and adaptation to functional loads. Distraction techniques allow surgeons to intervene earlier in childhood to restore the facial form and function. Significant advances in computer-assisted surgery have advanced for the better in recent years. The extent to which distraction osteogenesis will replace conventional approaches depends largely on technical innovations that will allow for implantable multidirectional devices that can be easily activated and controlled remotely with minimal incisions. In today's world where your profile picture is your introduction to the world, Recon Face does give a ray of hope to all those who have or who know anyone with jawline issues. Let your display picture speak a thousand words. Our clinic in Hyderabad are known for its faces of engineering to change lives. 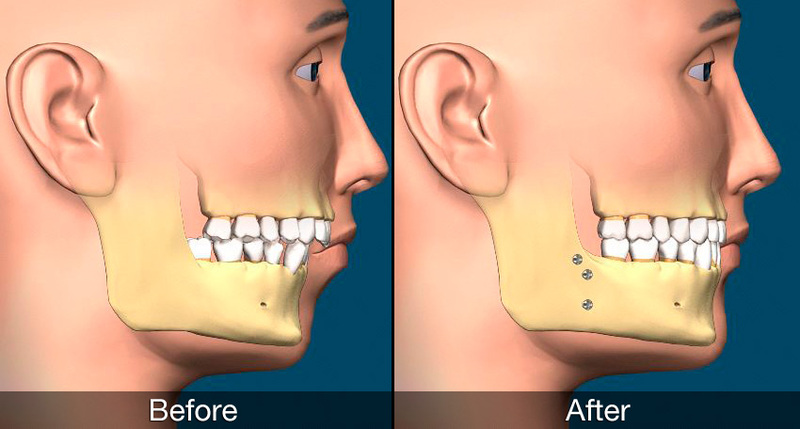 They have a highly skilled team that specializes in Distraction Osteogenesis Treatment in Hyderabad.